SmugMug - John Faughnan (jfaughnan) : Minnesota Special Hockey II has more photos from April 2nd. Same password as before! The pizza party and awards ceremony will be at the Braemar Golf Course club house (not the executive building) on April 13th from 6:00pm to 7:30pm. 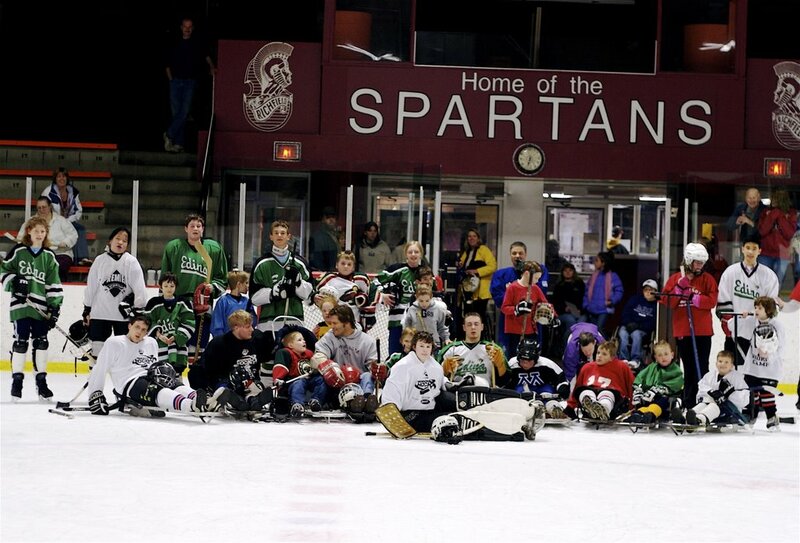 There will also be a coach scrimmage at the Braemar Arena from 4:45-5:45 pm. Please RSVP for the ceremony by Sunday April 9th by calling 952-826-0433. Skaters and sledders are free, a $5 donation is appreciated for everyone else.